If you’re considering a bathroom remodel, you may have spent hours browsing online resources and catalogs in search of inspiration. Fortunately, there’s no need to look any further! We’ve provided a few inspiring ideas that you can incorporate into your next bathroom remodel. 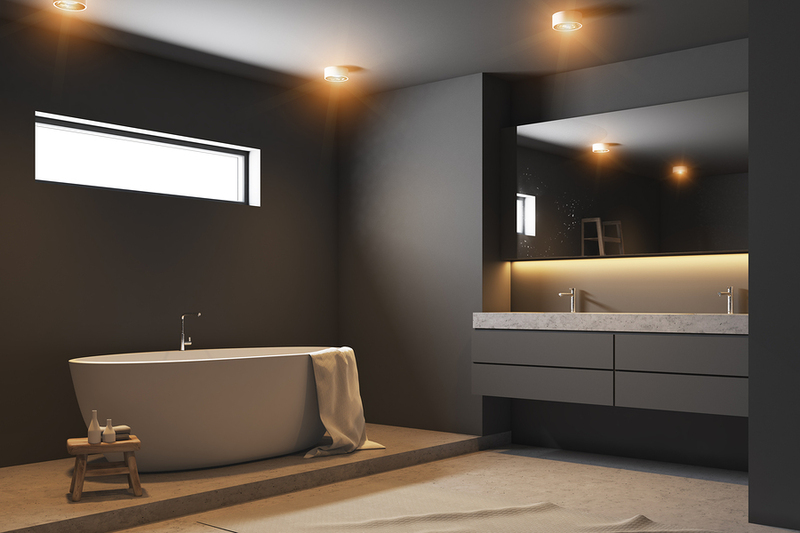 Over the past few years, one of the emerging trends that we’ve seen in bathroom remodels is the use of matte black. Homeowners often choose this instead of chrome and brushed-nickel features. Matte black can serve as an anchor for your design, trying the rest of the bathroom together quite nicely. Feel free to incorporate matte black into things such as your shower walls as well. If you often deal with too much clutter in your bathroom, consider opting for open shelving. This will prevent you from stuffing things away into drawers or cabinets. Open shelving forces you have to have a clean, crisp look in your bathroom, requiring you to arrange everything neatly. At Cardigan, we have helped homeowners in the Annapolis area with their remodeling needs for more than 40 years. It’s safe to say that we have seen many design trends come and go during that time! If you’re looking for inspiration for your remodel, be sure to contact our team or visit our showroom today. We offer the trendiest products and can help you achieve the remodel of your dreams. We look forward to hearing from you soon!